Abita Lumber is Abita Springs, Louisiana’s local, authorized Stihl dealer! We are the largest stocking Stihl dealer in St. Tammany Parish. 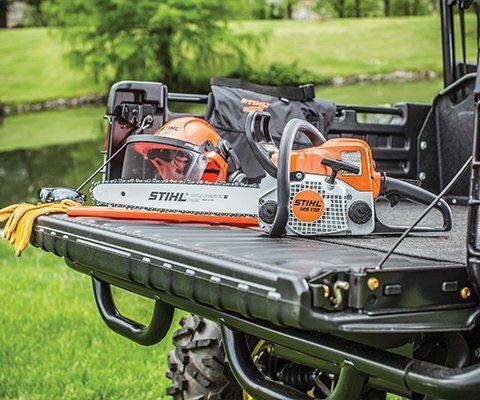 We offer a comprehensive line of Stihl power equipment and accessories along with superior service. If you’re already a Stihl equipment user, we are happy to provide you with the authorized Stihl service you need to keep your Stihl equipment in top shape. Our state-of-the-art Stihl repair shop has several mechanics on site. We are also home to Louisiana’s first Platinum Certified Stihl mechanic, Todd Newman! Abita Lumber is MasterWrench Service® Certified which is the highest level of training available from Stihl Incorporated in Virginia Beach, VA. If that isn’t exciting enough, Abita Lumber handles all service and warranty in house. Need a Stihl product repaired? Stop in Abita Lumber today and talk to our outdoor power equipment repair pros! Abita Lumber offers Stihl Express online reservations. Reserve Stihl products online 24/7 for in-store pickup.